General Motors Co. said on Thursday it has given its tentative approval for Russian financier Vladimir Antonov to become a major shareholder in Spyker Cars' struggling Saab unit. Antonov was also given the green light to invest in Saab by the Swedish Debt Office on Thursday. 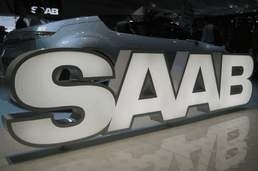 Antonov has applied to buy as much as 30 million euros ($44.4 million) for a stake in Saab of up to 29.9 percent. GM sold Saab to Spyker in February 2010, but it still has redeemable preference shares in the brand and licenses technology to Saab. GM said it has reached an agreement with Saab "on a construct which could allow for Vladimir Antonov's acquisition of a shareholder interest in Saab." It added that the agreement "requires certain specific actions to be taken by Saab which have not yet been completed, as well as certain formal consents, approvals and waivers which Saab has not yet obtained." Antonov said: "Finally we have managed to obtain a clean bill of health and we need to move fast forward to secure the cash flow of Saab Automobile. I hope all involved parties now further take on their responsibility so we can close all processes fast to secure the future of Saab." It remains unclear, however, how quickly Antonov's money will be available. His plans still have to be approved by the Swedish government and by the European Investment Bank (EIB), which has lent 217 million euros to Saab, guaranteed by the Swedish state. A former shareholder in Spyker, Antonov had to sell his shares in the Dutch group before it bought Saab from GM after reports in Swedish media of involvement with organized crime and money laundering. He has denied such allegations and has said he has cleared his name. Spyker has been seeking to sell its factory in Trollhattan, Sweden, and Saab real estate to Antonov and then lease it back to free up cash. Last week, the Swedish government backed the deal by allowing the National Debt Office to release its security in Saab property used to guarantee the EIB loan to Saab. The government said the deal still needed EIB approval. On Tuesday, Spyker said the bank had imposed new, strict conditions on Saab, GM and the Swedish National Debt Office and the Swedish government. Saab says working on ways to raise money to prop up the company that do not need EIB approval. ''In parallel, we are working on the longer term financing solution, including talking with some Chinese companies,'' Saab spokeswoman Gunilla Gustavs told Automotive News Europe on Thursday. She declined to name the companies involved. Saab said on April 6 it was stopping production at its Trollhatten, Sweden, plant "until further notice" after some suppliers halted deliveries due to unpaid bills. The carmaker owes at least 300 million kronor ($49.1 million) to suppliers, according to FKG, a trade group representing Swedish auto suppliers. On Wednesday, Saab told workers at a meeting that they were not needed back at work yet as the search for financing continues to enable the firm to restart production lines. "We gave them an update on where things stand,'' Gustavs said.